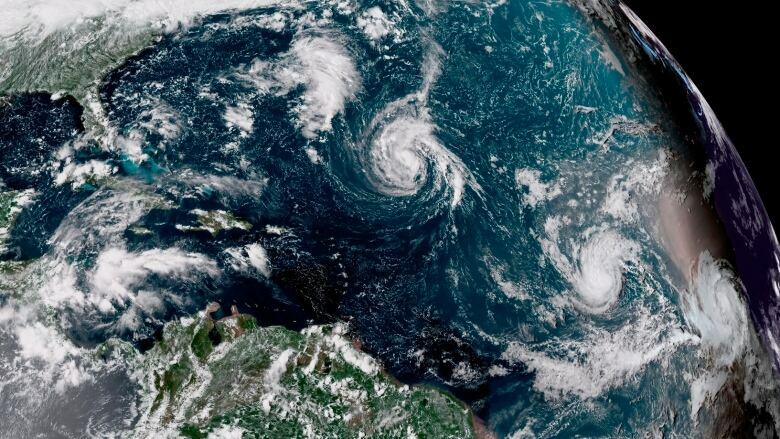 The National Hurricane Center said Saturday the storm was expected to become a "major hurricane" by Tuesday as it passes between Bermuda and the Bahamas on Tuesday and Wednesday. The storm is expected to approach the southeast U.S. Coast on Thursday. At 11 a.m. ET, the Miami-based hurricane centre said Florence's maximum sustained winds were estimated to be 100 km/h. The storm was centred about 1,340 kilometres southeast of Bermuda and moving west at 11 km/h. In South Carolina, Gov. Henry McMaster declared a state of emergency Saturday to give his state time to prepare for the possible arrival of a hurricane. McMaster emphasized that there's no way to know yet when and where the storm will hit land, or when evacuations might be ordered. The U.S. Navy is making preparations this weekend for its ships in the Hampton Roads, N.C., area to leave port as Tropical Storm Florence approaches the East Coast. The U.S. Fleet Forces Command said in a news release Saturday that the ships will get ready in anticipation of leaving Monday to avoid storm damage. The National Hurricane Center said Saturday that Florence will start to rapidly intensify Sunday, but that plans could change if forecasts indicate a decrease in the strength or change in the track of the storm.